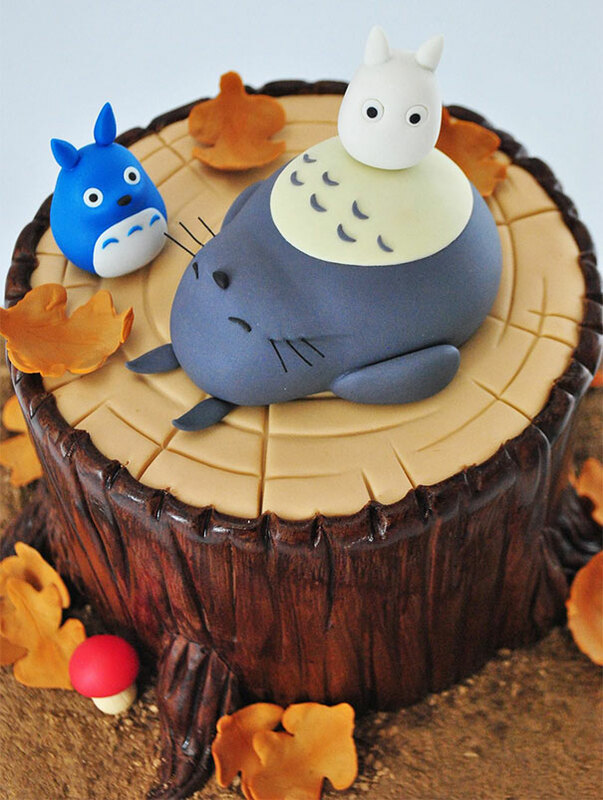 If you or someone you love is a big fan of Japanimation, we think you will agree that these totoro cakes look almost too good to eat. 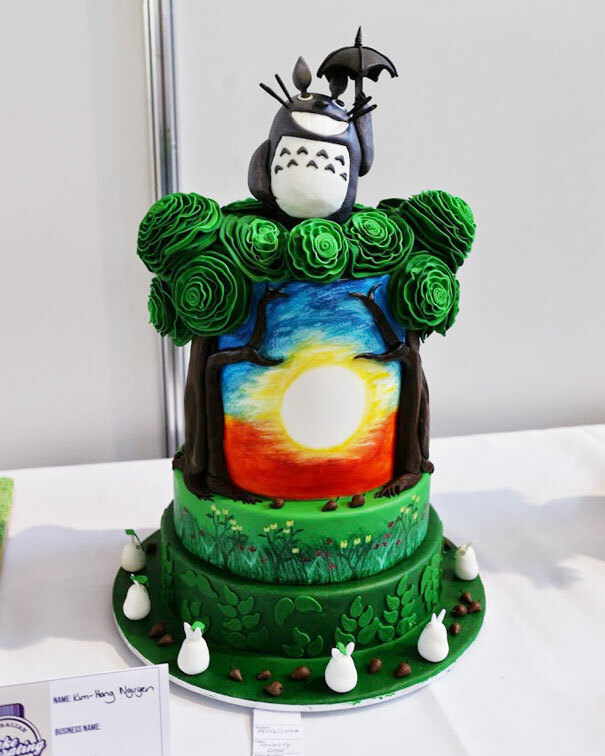 These decorators have outdone themselves by using bright colors and bold choices that result in some of the most original cakes we have seen in awhile. 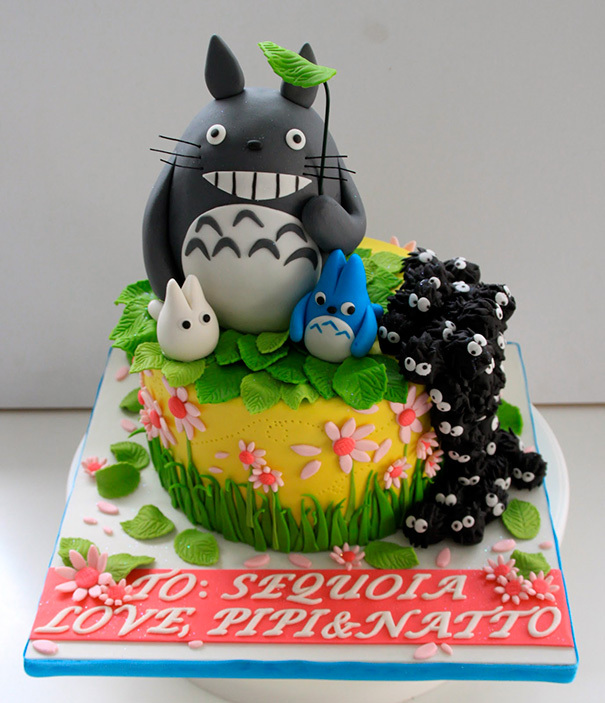 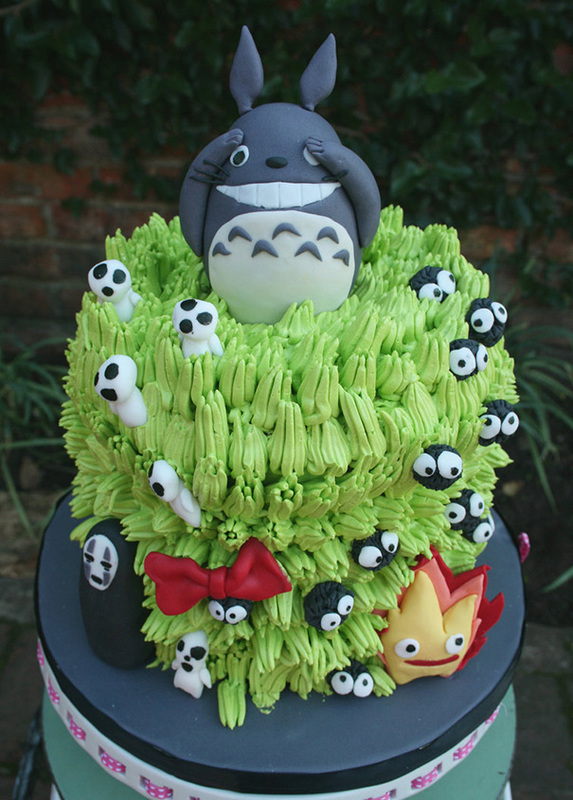 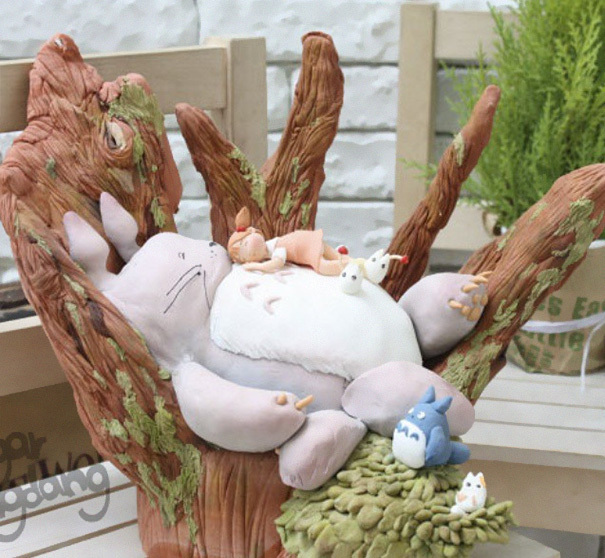 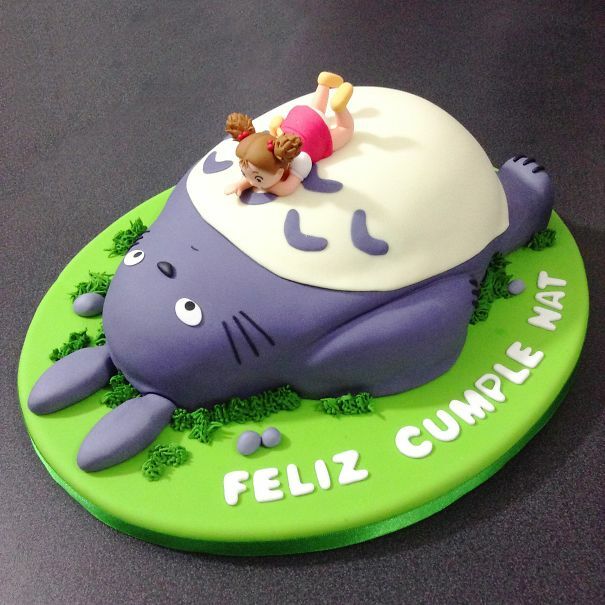 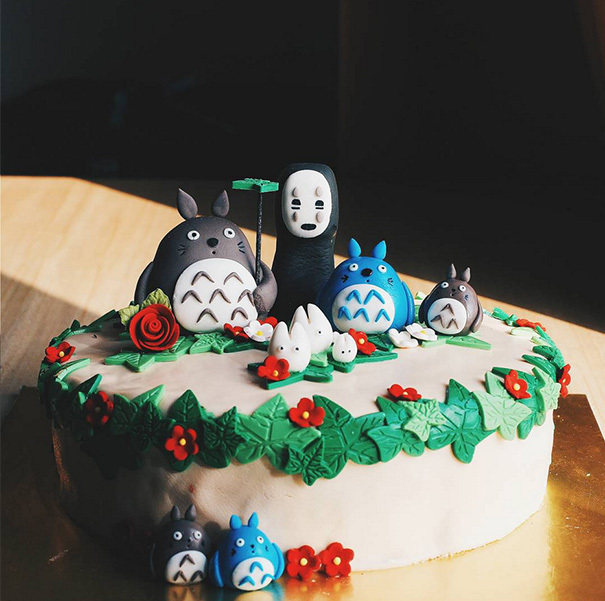 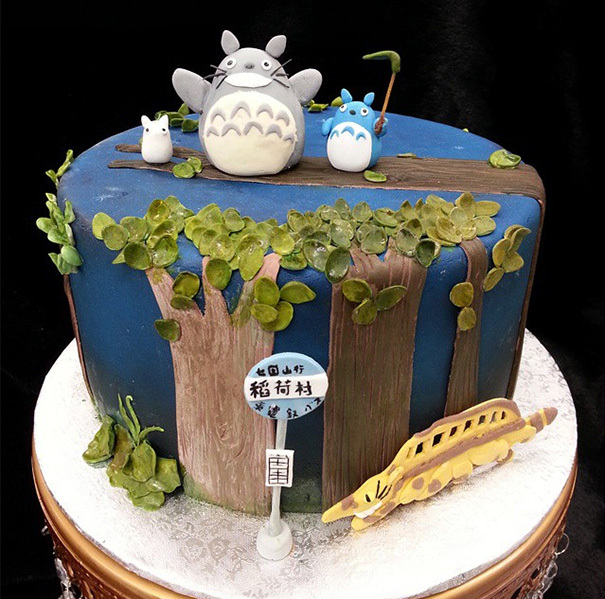 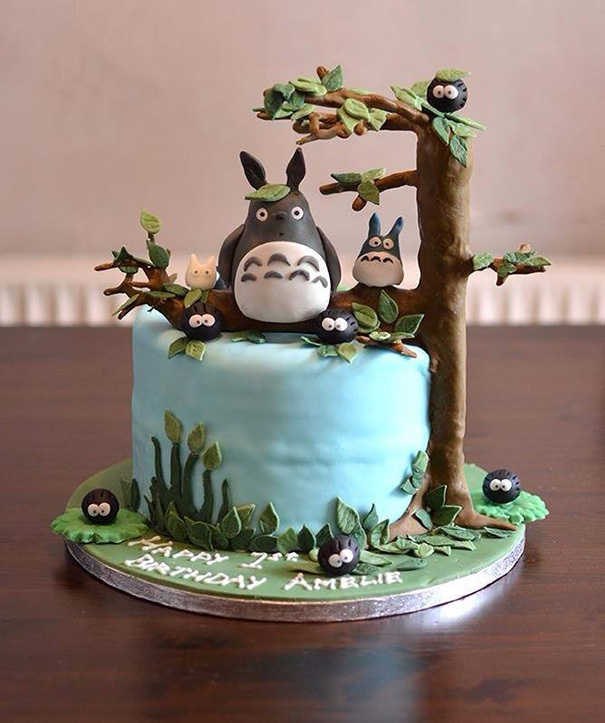 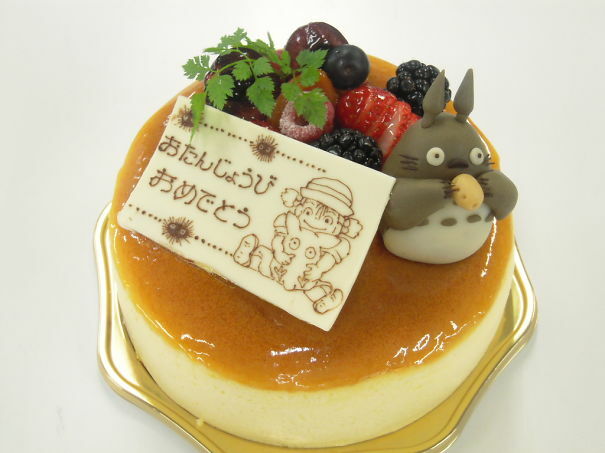 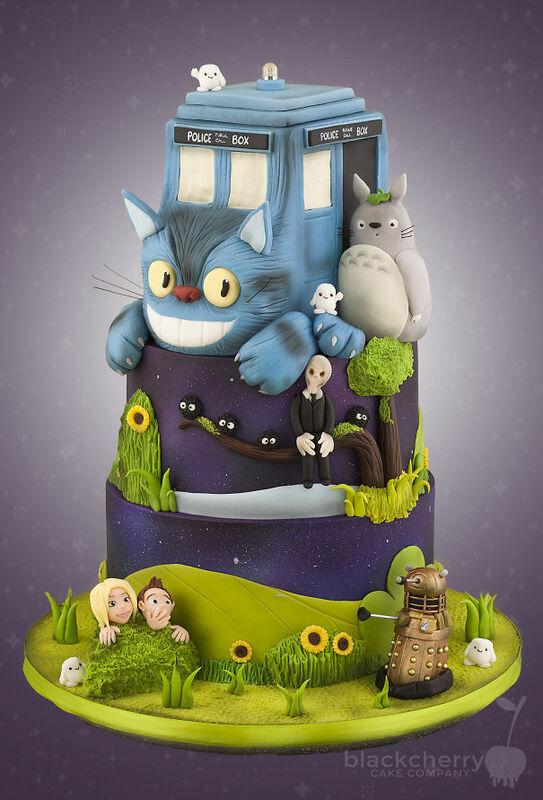 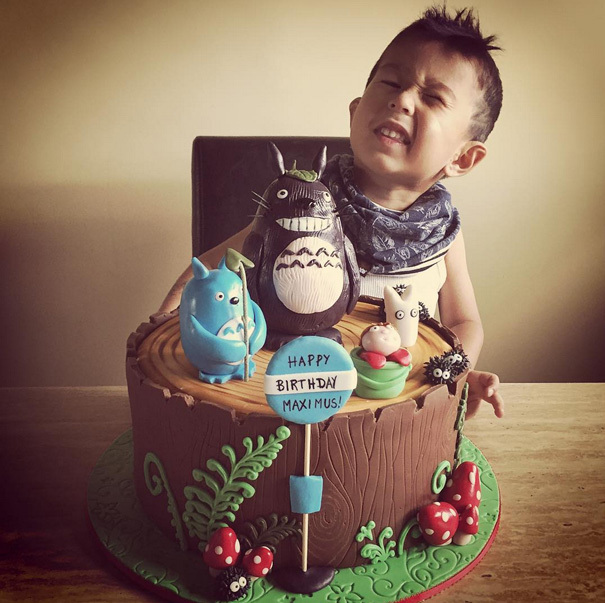 For your next birthday, make a wish to celebrate with a totoro cake sporting the characters from My friend Totoro, or the haunting spirits featured in Spirited Away. 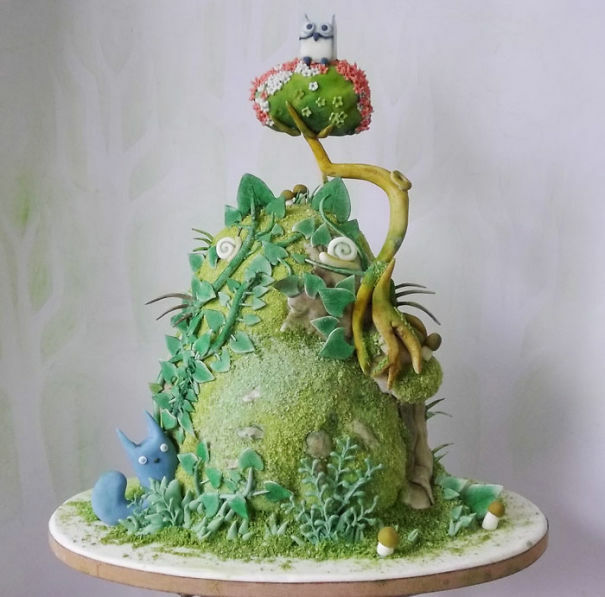 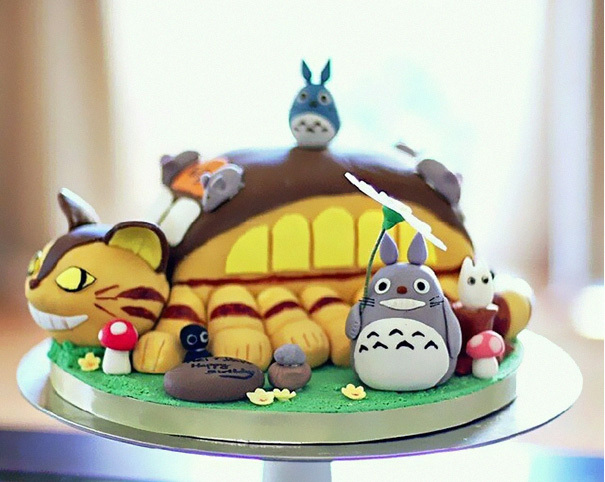 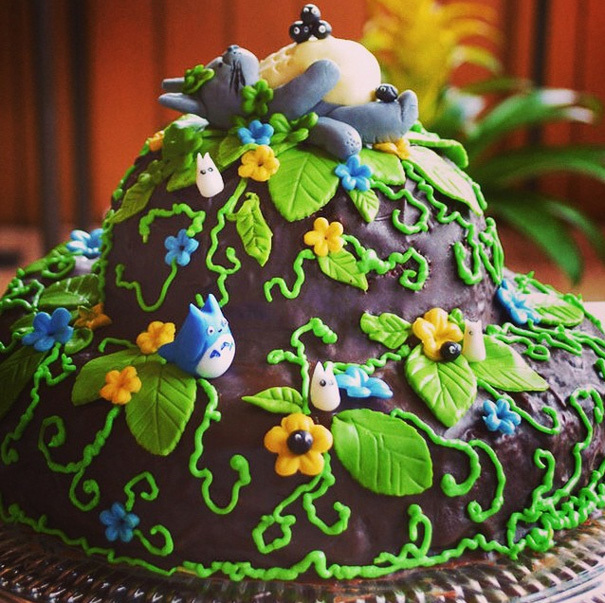 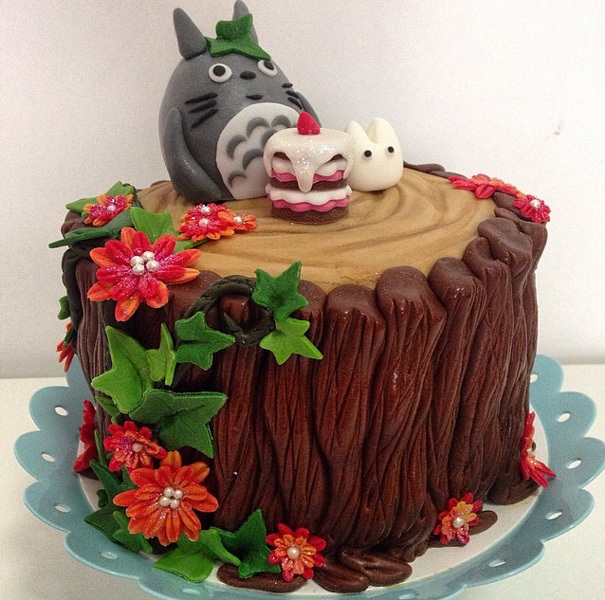 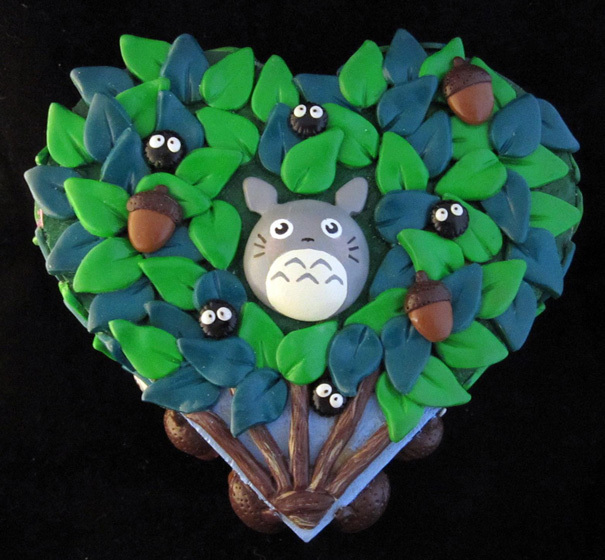 These beautiful totoro cakes are truly works of art. 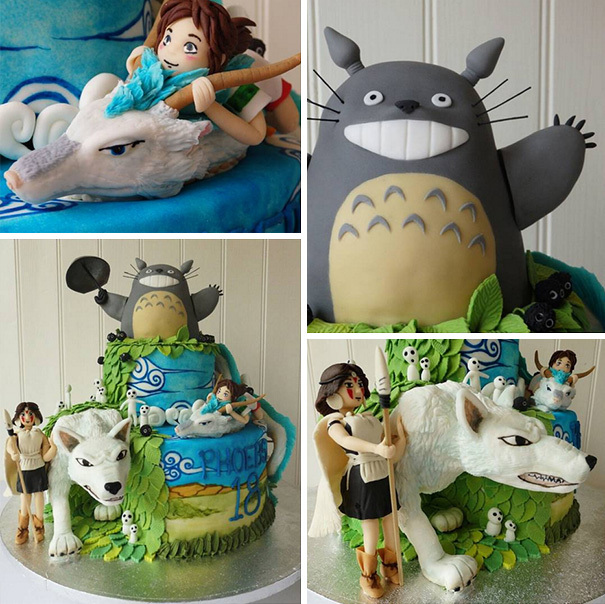 Whether you choose Totoro, the Earth spirit, Wind dragon, Cat bus, or No-name, you will not be disappointed! 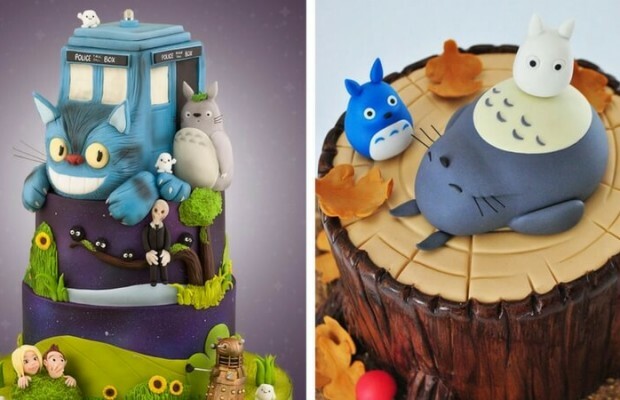 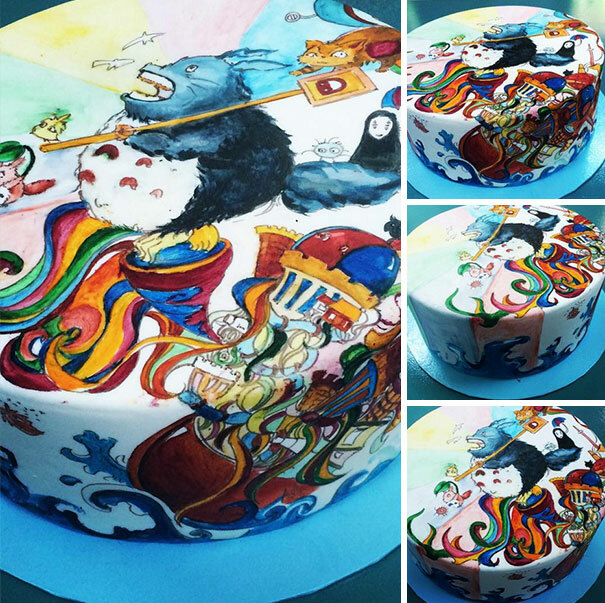 We bet that these cool cakes taste as good as they look! 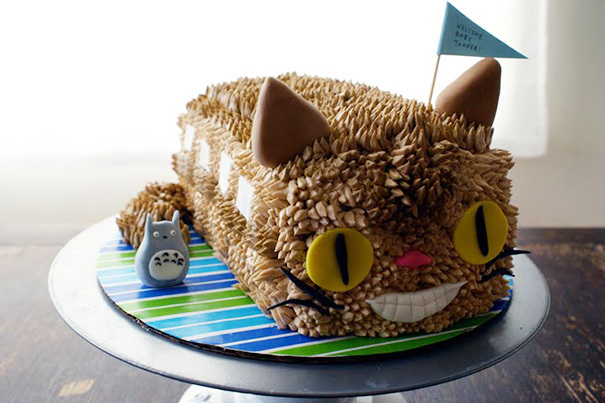 The cat here looks just like it should, amazing!